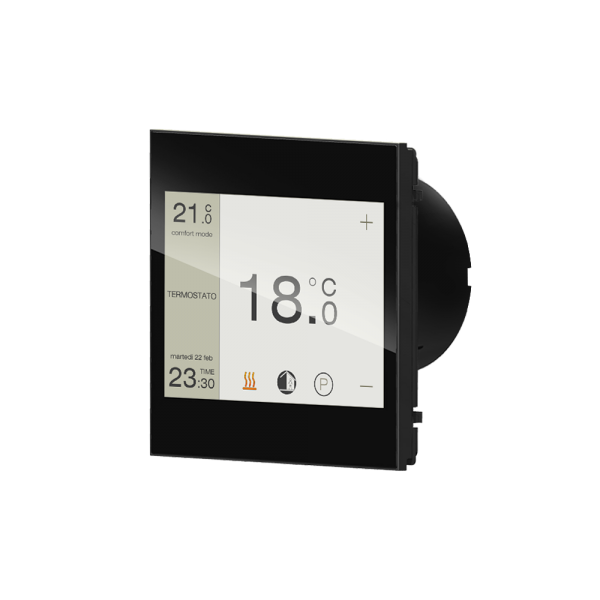 KNX control and visualisation unit. 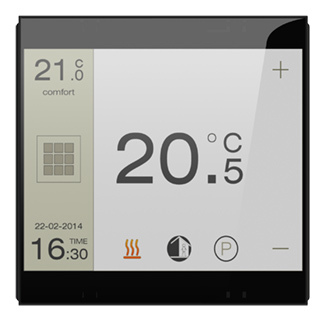 3.5″ touch screen and user interface with graphical pages. Mounting on round or square wall box. Connections to bus and auxiliary 30Vdc power supply. To be used in KNX installations for home and building automation. Terminal blocks for bus and auxiliary power supply, fixing screws and mounting support included in the delivery.